Got the Hero 4 a while ago, so selling my 3+. This is a great deal - something like this sells on Ebay for at least $300. Everything is in fantastic condition - I know how to take care of my gear. Not included is the remote or the original packaging (other than the floor mount - see below). The floor mount is an awesome part of the original packaging. 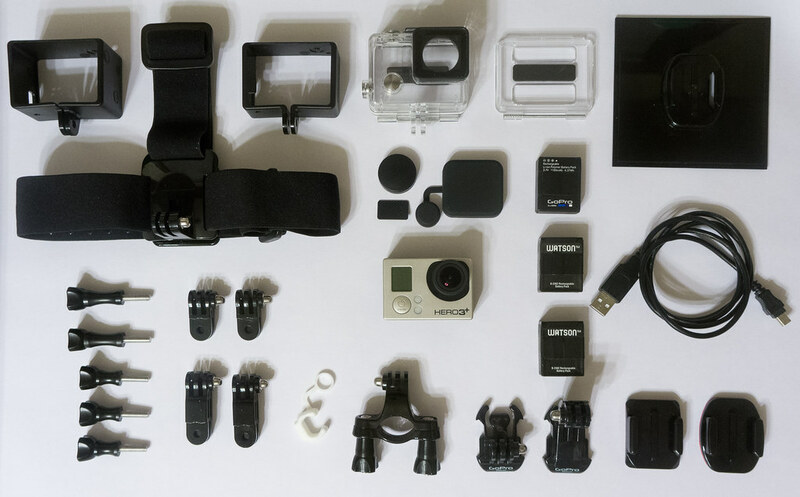 While not considered an "official" mount by GoPro, it is a wonderfully useful part and much beloved by the GoPro community. The original battery cover is missing. The cover currently in place is the one from the Revo cap and cover kit, which is basically a clone and works just as fine. Not pictured: the wall charger. It's somewhere in my house, I'll have to dig it up. Here's a link if you're really curious. Download the app and use code 20NEWNOW. First order only, expires 8/31/15. Deals/Deal Requests / 128GB iPad Air Wi-Fi + 4G LTE for $529! Up In The Air / [DEAD] Washington - Bejing for $450 in J! Deals/Deal Requests / Amazon: All Calvin and Hobbes ebooks only $2 each! These are for Kindle but work on basically all iOS and Android devices well. Regular price is $13-$19 each. The Adobe Photography Plan is actually a pretty great deal – for $10/mo you get full access to both Photoshop CC and Lightroom. I highly recommend it for anyone who shoots RAW and wants to take their pictures to the next level. Now with the $30 Amazon credit it’s an even sweeter deal. Sold directly by Canon and comes with a 1-year warranty. Up In The Air / Frontier - TTN on sale: TTN-CLE (or vv) $77 RT; MKE and STL also avail. Stackable with code LOWFARES for a further 12% off - meaning TTN-CLE-TTN RT (or vice versa) comes out to $77.49! Book by 11/2, fly by 12/17. Trip Reports / Writing a trip report? Here's how to add pictures. I can't even count the amount of times I've answered this question in one form or another, both on the forums and by PM. I figured I'll write up some detailed instructions and hope people will find this useful. Note that nothing in this post will show up properly in Tapatalk; use a regular browser to follow along. Hosting: The pictures have to live somewhere. They are not stored on DDF; the forum system follows a couple of codes which tells it where the picture is stored, and it "pulls" the picture from there and displays it in your post. What this means is that for any picture to be displayed on DDF it first has to be uploaded to an image hosting service. There are many hosting services out there, including ImageShack, tinypic, and imgur. All work on the same principle: you upload your pictures, the site provides the necessary code and links, and will display your picture when called upon to do so by DDF. They're part of Yahoo, so I know that it's not going anywhere soon. Many hosts have come and gone, and with it, your pictures and links. That's not something I'm worried about with Flickr. They give you an entire terabyte of space for free, with no limits on the amount of uploads or views per day (like some others do). You could organize your pictures in many different ways, such as by type, trip, etc. You could name and describe your pictures (and have that show up on DDF too, should you choose to), and people could leave comments, etc. You could keep your pictures private, making them only accessible if it's clicked through from DDF, should you choose to. 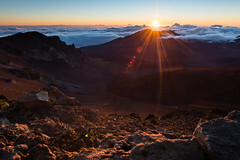 If someone wants to know more about the picture they could click on it and see the exposure info, tags, even a map of where the picture was taken from (considering the file has location information included). 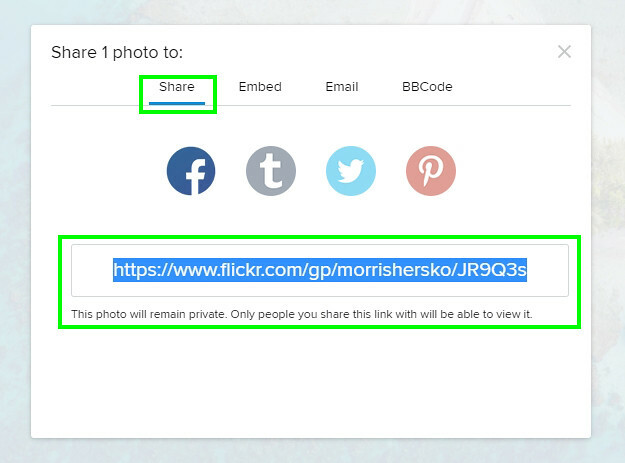 The examples we'll examine below will all be from Flickr, but the steps generally apply to all other hosting sites. BBCode: The forum runs on something called BBCode (BBC for short). 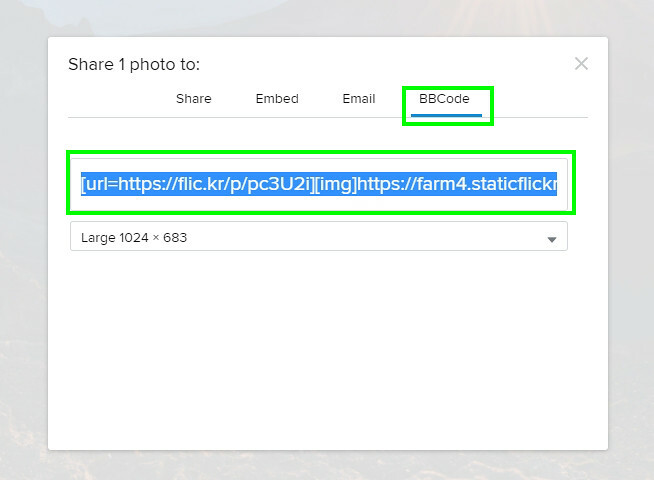 Without this code all that could be displayed is plain text; adding BBC tags however will let you format your post in many different ways. You do not have to know any coding to use this; generally you could click on one of the icons while posting and the code will automatically be entered for you. However, understanding how the codes in question work, what each part means, and so on are all very useful to know and will be explained here. Once your pictures are online on a hosting site, you will use the [img] tag to tell the forum where your picture is stored, what size to display it at, and what happens if the picture is clicked on. Let's have a look at the different options and controls, and how they would show up on the forum. Step 1: Uploaded your pictures. Sign in or create an account on your hosting site of choice, and follow the prompts to upload your pictures. Note that BBC can also be referred to as "Forum" or "Forum Code" on different sites. This will generate the required [img] code needed, but don't copy and paste just yet. If the size you picked is too large, DDF will automatically resize it to fit the width of the page. That means that you're getting basically the same view as Large 1024, but it will run slowly due to all the resizing happening. And if you choose a smaller size, your picture will not be resized - it'll just show up smaller. Note that the size options you get will vary slightly depending on the particular picture in question; however it'll be close enough to the options here. We have the picture displayed at the size we chose. If you click on the picture it takes you to Flickr where you could see more details, different sizes, and move around my pages to see other pictures. We have the image name as a caption, which itself is also a clickable link to the above-mentioned page. We have a photo credit, which links to my Flickr profile page. How did all this happen, and how could we manipulate the code to change which of these actually happen? Red is the most important part - the [img] and [/img] tags notify the system that a picture should be inserted here, while the URL in between tells the system where to find said picture. This is static: all it does is show the picture - no links, credits, etc. If this is what you want, keep only this part of the code and erase the rest (see example 1 below). Green is a [url] tag. This is what makes the picture clickable. Since this tag surrounds the [img] tag, it means that the entire picture is clickable, not text, as is typical. This is how I personally post my pictures, since I'm not a fan of the caption and credit parts. By only using the red and green parts of the code, it shows the picture only, but clickable. See example 2 below. 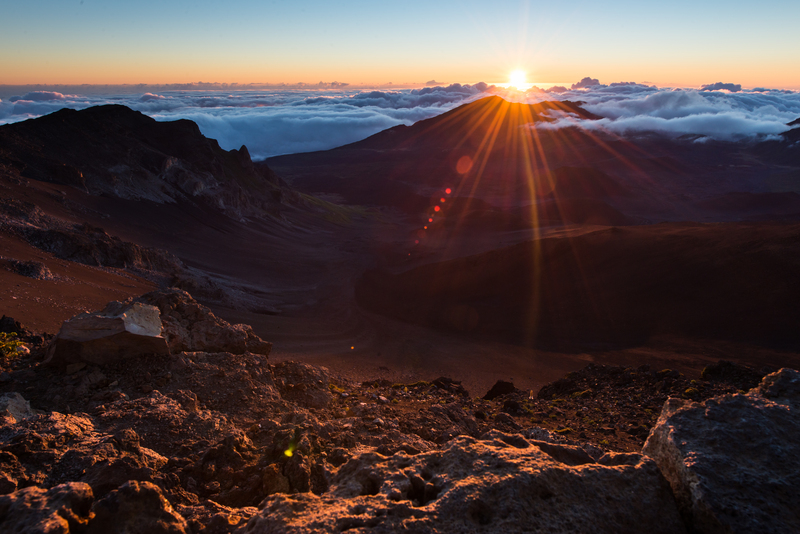 Blue Is the caption; the [url] tag makes the "Haleakala Sunrise" clickable. Purple is the link and text to my profile page. You could eliminate either the profile link or the caption by deleting the applicable parts of the code (personally I delete both, like I said above). See example 3 below where I kept the caption but got rid of my profile link. Brown is pure text and is there to turn the caption into a coherent sentence. The above steps only works if the picture is public. What if you want them private, but viewable (and clickable) only through DDF? For this we use something Flickr calls a Guest Pass. It generates a special link for your private photos, and only someone with that link (and in this case, DDF) could view the picture. Flickr has a couple of options for the Guest Passes, such as setting expiration dates. See this page for more info. DDF hosted: The forum actually does have a built-in image hosting feature, but that is only for extremely small file sizes (meaning the pictures will be very low quality). Additionally, the pictures only show up at the bottom of the post, and as thumbnails only. All this means that it's is generally not a good option for trip reports. To use this feature, click the "Attachments and other options" link below the text field. Tapatalk hosted: If you have your pictures on your phone you could click on the camera icon to upload a picture. This works in a similar way to Flickr - the picture will be uploaded to Tapatalk's servers, and it will automatically generate the code and insert into your post. The disadvantage of this method is that you have no control on the size of the picture - it will be displayed like the Original sample above. 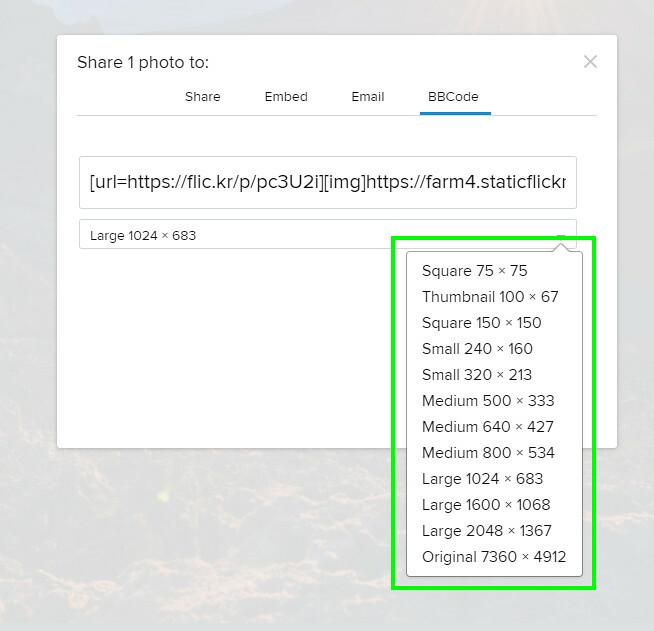 Other websites: If the picture is hosted on any other website, you could copy the image link (generally this will not be the page link) and paste the address between [img] and [/img] tags. As with Tapatalk, you will have no control on the size of the image. Lots of dates availible; all searchable on ITA. Canon has two refurbished lenses on sale at 50% off today. These are a great compliment to a Rebel and kit lens. The 18-200, 70-300, and 24-105 are also 30% off. Tickets must be purchased by 11:59 pm Eastern time on Oct. 2, 2014 for domestic, nonstop travel to/from Trenton Mercer Airport on: Tuesdays, Wednesdays, Nov. 4, 2014 through Feb. 11, 2015. The following blackout dates apply: Nov. 25-26, Dec. 23-24, 2014; Jan. 3-4, 2015. Fares are one way and do not require roundtrip purchase. The 19% discount applies to base fare only, not to fees or taxes, and requires purchase at FlyFrontier.com using promo code EZTRENTON19. Discount applies to domestic fares only. All fare rules will apply. Certain flights and/or days of travel may be unavailable. Sitewide - buy one item and get one item of equal or lesser value 50% off.